There are big fights which all boxing fans want to see, and then there are the monumental clashes that attract attention from all corners and have a lasting impact. Here are the 12 matches which transcended sports and fascinate us years and decades later, as much for their political and cultural context as for how they defined, or re-defined, their combatants. 12. June 20, 1980: Roberto Duran W15 Sugar Ray Leonard. The match which ushered in a new era in boxing, “The Four Kings,” and which showed that the Age of the Heavyweights was finally over. A true “superfight,” Leonard vs Duran became a huge attraction, not just for boxing, but for sports fans worldwide. Amazingly, it lived up to the hype with 15 thrilling rounds, the performances of both fighters exceeding all expectations. 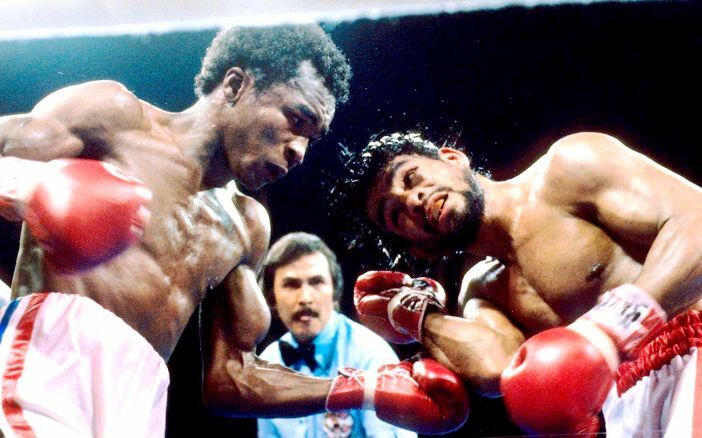 The biggest closed-circuit broadcast in boxing history to that point, it also affirmed the now crucial importance of Latin America for the sport as Panama’s Duran, who spoke no English, became its first mainstream star. 11. Sept. 7, 1892: James J. Corbett KO21 John L. Sullivan. The end of the bare-knuckle era and the beginning of modern boxing. Sullivan vs Corbett was a major event drawing widespread interest as it was Sullivan’s first fight in over four years. During that time no one had posed enough of a threat to draw him back to the ring as few could conceive of anyone defeating the mythical “Boston Strong Boy,” the champion being a true living legend. 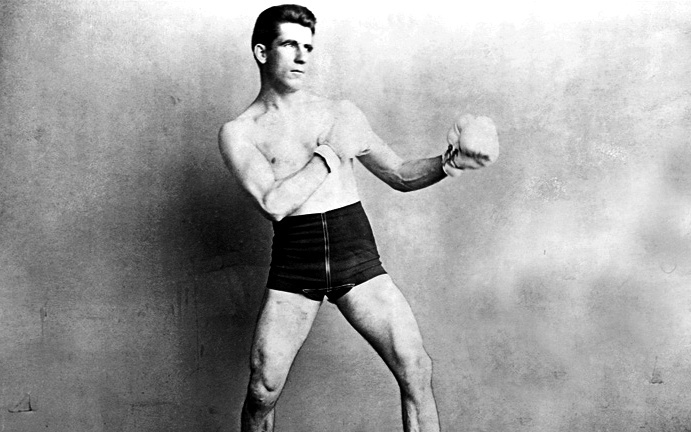 Corbett’s upset win marked a turning point for the sport as a more disciplined ring technique became preeminent. 10. Sept. 3, 1906: Joe Gans DQ42 Battling Nelson. One of the last “fight to the finish” contests and the longest gloved title match under Marquis of Queensbury rules. 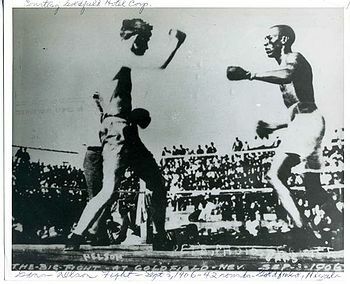 An historic bout which advanced boxing technique as early ring sophisticate Gans, the first black American to hold a world title, dominated Nelson before the Dane intentionally fouled out. George “Tex” Rickard brought the match to Goldfield, Nevada to help the money interests there promote their new boom town and it was the first of many blockbusters staged by the famous promoter. 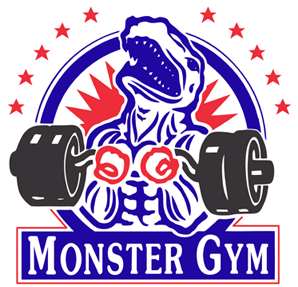 The match also marks a shameful chapter in how black competitors were treated at the time as Gans, who had outgrown the lightweight division, was forced to make weight literally minutes before the fight while wearing his boxing equipment. Nelson and Gans fight to the finish. 9. Feb. 25, 1964: Cassius Clay RTD6 Sonny Liston. The contest which signaled a sea change not just for boxing, but for all professional sports, not to mention Amercian society. New champion Clay quickly became Muhammad Ali and nothing would ever be the same. Cassius Clay shocks the world. 8. Sept. 22, 1927: Gene Tunney W10 Jack Dempsey. 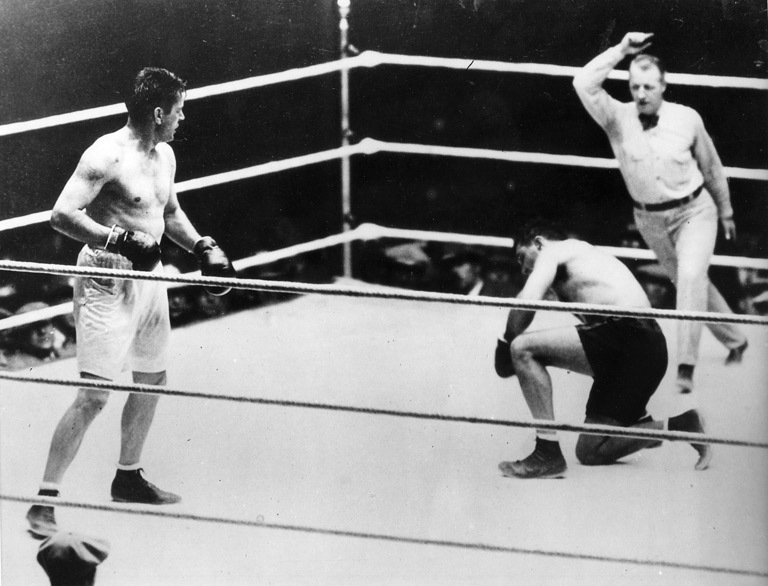 The second Dempsey-Tunney fight and the famous “Battle of the Long Count” was the end of the Dempsey era and a climax to “The Roaring Twenties.” A learned man and a socialite, cool and calculating Tunney, in contrast to the rugged “Manassa Mauler,” reflected much that was changing in an increasingly industrialized America. 7. 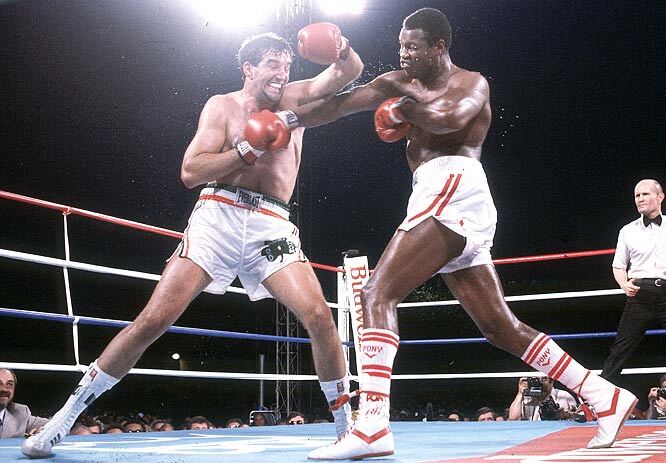 June 11, 1982: Larry Holmes TKO13 Gerry Cooney. The richest fight ever up to that point, this contest was made massive by its overtly racial (or should that be “racist”?) elements. Mainstream, white America thirsted for a new “Great White Hope” and the untested Cooney had the chance to become bigger than boxing. Prior to the bout, it was Cooney, not champion Holmes, on the cover of Time and Sports Illustrated and it was Cooney’s dressing room that had a direct phone line to the White House. But Holmes took his challenger to boxing school, putting to rest all dreams of a great white champion in a multi-cultural America. Larry Holmes turns back the challenge of Gerry Cooney. 6. Dec. 26, 1908: Jack Johnson TKO14 Tommy Burns. 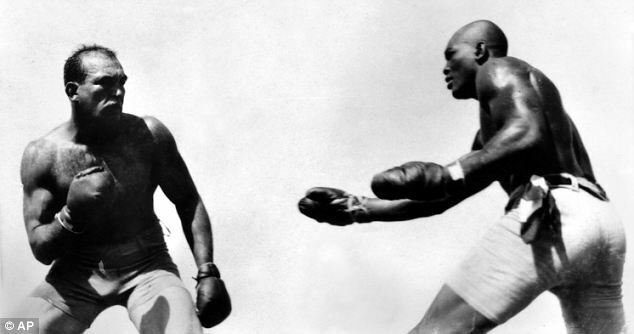 A match whose outcome shocked and dismayed — and delighted — millions, as the irrepressible Jack Johnson — ever smiling, laughing and taunting white America — became the first black heavyweight champion of the world. 5. 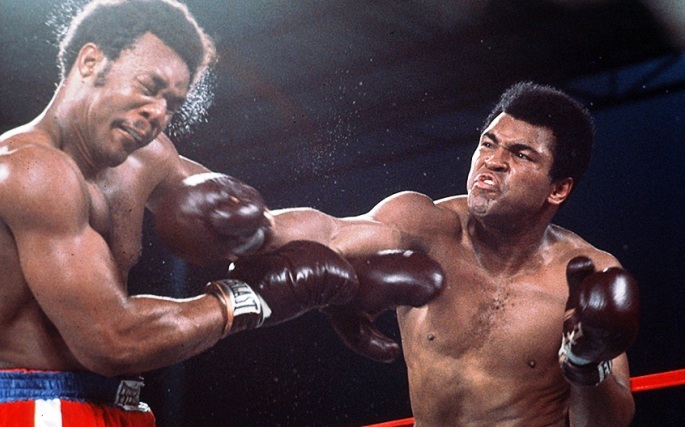 Oct. 30, 1974: Muhammad Ali KO8 George Foreman. The astonishing return of Muhammad Ali as heavyweight king. A great upset vindicating the man who had been reviled and banned from boxing, but who was now a hero to millions and a global superstar. 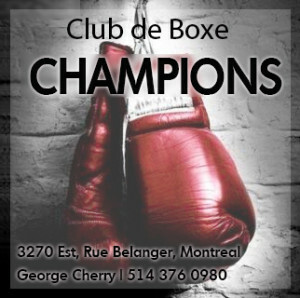 The event itself further reflected wider political and cultural changes as two black men fought for boxing’s biggest prize in a newly independent African nation and as part of an event staged by boxing’s first black promoter. 4. 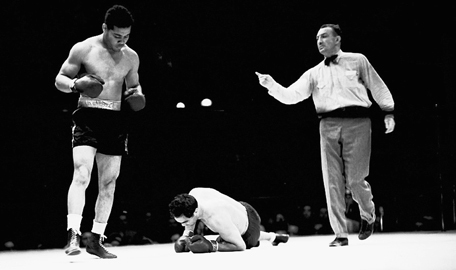 June 22, 1938: Joe Louis KO1 Max Schmeling. It was Germany’s Max Schmeling who had inflicted Louis’ first defeat two years earlier and as the young heavyweight titlist himself put it, “I ain’t no champion ’till I beat Schmeling.” But in the interim, “The Black Uhlan of the Rhine” had been adopted by his home country’s Nazi regime as a national hero. Thus the backdrop for this match was nothing less than the fascist regime of Adolf Hitler and his resolute drive towards a new world war. “The Brown Bomber’s” vicious two minute annihilation of the now reviled German elevated him to the status of national hero and made him a living symbol of America’s growing confidence. Louis blitzes Schmeling in Yankee Stadium. 3. 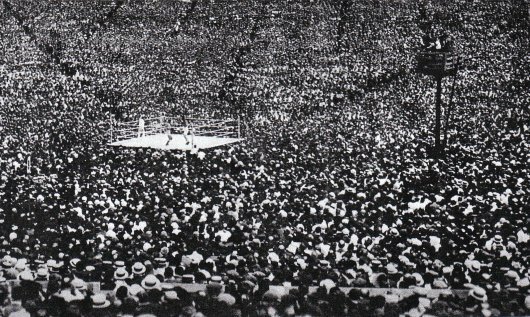 July 2, 1921: Jack Dempsey KO4 Georges Carpentier. Boxing’s first million dollar gate and a massive event in every way. Worldwide interest attended this match, the results of which were next morning’s front page news. A classic good vs evil narrative — with brutish, slacker Dempsey the bad guy and World War I hero Carpentier the white knight — captured the imaginations of millions. A special stadium to accommodate a mob of ninety thousand promptly sold out and during the match thousands gathered in New York and Paris just to hear announcements of telegraphed updates. Dempey, Carpentier and a throng of ninety thousand. 2. March 8, 1971: Joe Frazier W15 Muhammad Ali. Never before had two undefeated champions clashed for the undisputed world heavyweight title. Both boxers were in their primes and thus, strictly from a competitive standpoint, it was a dream fight and a huge attraction. But the political and cultural story-lines could not be ignored. 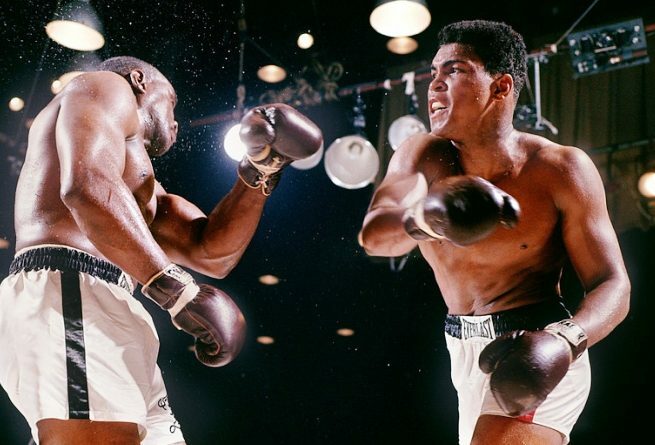 The match’s build-up exposed and enflamed serious divisions over the Vietnam War and the civil rights movement, and what was already an irresistible contest between two elite fighters became an event of colossal magnitude. Millions rooted for Ali to regain the title that had been unjustly taken from him, while at least as many yearned for his defeat. The most watched sporting event in history up to that point, the 15 round battle which followed, amazingly, more than lived up to the hype. 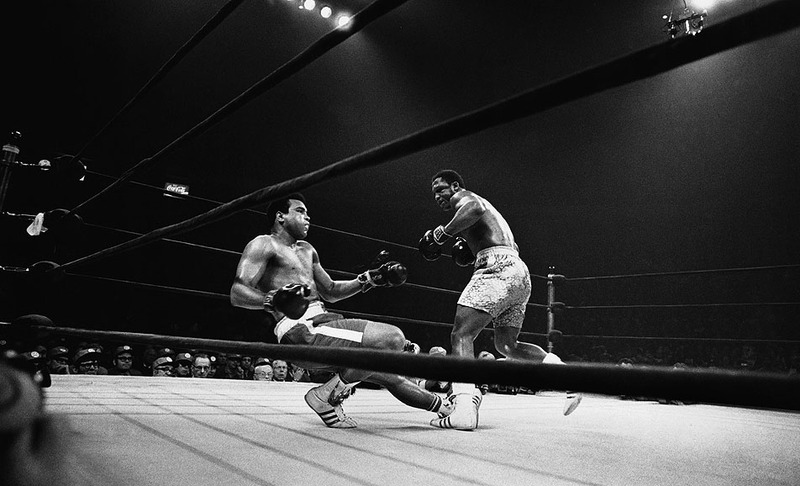 Frazier floors Ali in round 15. 1. 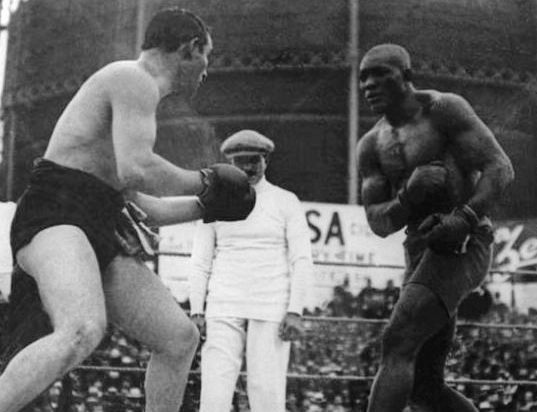 July 4, 1910: Jack Johnson TKO15 James J. Jeffries. Arguably no boxing match has ever held greater significance than the first so-called “Fight of the Century,” an ugly affair which drew the attention of millions not for sporting reasons, but because this contest was, first and foremost, about the supposed superiority of the white race. Jeffries initially had no interest in coming out of retirement to face Johnson but many viewed it as his social duty to put “The Galveston Giant” in his proper place. Eventually the former champion bowed to public pressure and the much anticipated clash took place in a specially built stadium where Jeffries, the expected victor, was completely dominated. To the deep dismay of the crowd, Johnson toyed with his opponent before the one-sided battering was finally stopped. The result led to race riots in virtually every major American city and the social repercussions were felt for decades. Against Johnson, Jeffries had no chance. Ray Mancini vs Duk Koo Kim has to be on this list. That fight literally changed boxing forever. Mancini vs Kim would not be considered by any “True” Boxing enthusiast in this list of “Great” Champions. No, the Mancini vs Kim did not change boxing forever. Emile Griffith vs Benny “ The Kid” Paret ended in death. And then boxing wasn’t shown on TV for many years to come. Sugar Ray Robinson and Max Bear also had Opponents that died. 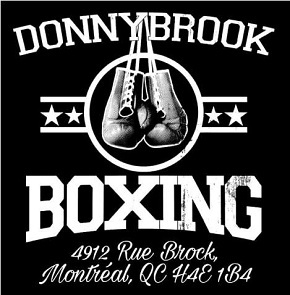 Since the days of Bare Knuckle Boxing to modern Prizefighting of today, over 800 have died because of the beating they took. No real Boxing enthusiast glorifies or wants to see that. You left out the Hagler/Leonard fight. We all know that Hagler won the fight and he was robbed. Pacquiao baby 8 time world champ in 8 divisions . George Foreman vs Michael Moorer. Oldest man to be heavyweight champ. There are many but good list. What about Arguello v Pryor? Dempsey vs Willard. Read Roger Kahn’s book-“A Flame of Pure Fire”. What about Arturo Gatti vs. Mickey Ward? Eric Morales vs. Marco Antonio Barrera? Too many to name.